Submitted by Roberto_Notecardo on Sat, 2007-03-17 23:51. I have a request for DIY's Link Liaison, Sara. A few days ago I saw a template someone submitted for a 3 x 5 notecard that can also be three-hole punched to fit in a Classic binder. Now I can't find it. Help!! Submitted by jonglass on Sun, 2007-03-18 06:52. Submitted by jonglass on Sun, 2007-03-18 07:33. Submitted by Roberto_Notecardo on Sun, 2007-03-18 23:27. Thanks jonglass! I have both a six hole and seven hole FC punch (the advantage of being seriously afflicted with multi-plannerism is the collection that one can put together). I'm toying with the idea of combining my Classic binder with notecards. These templates will help considerably. Submitted by circa (not verified) on Thu, 2007-03-22 00:24. 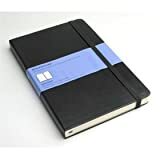 Yesterday after seeing Shris's comments, I gave some serious thought to changing my planner from the classic Franklin Covey to the Circa so I could custom make the planner. How do you propose using the cards with this also and do you have experience with changing planner systems. Shris had the great idea of noting all that would be part of my "dream planner" which is a wonderful idea .I also thought that maybe I could rebuild the Franklin. At the same time I want to maintain my extensive collection of 3x5s somehow. Submitted by shris on Sun, 2007-03-18 11:47. You want portrait orientation, then. I submitted a set called "hipster portrait" in PDF and Draw formats..
Might not be the forms you wanted, but you could punch the long side. Submitted by Sara on Sun, 2007-03-18 13:18. Do you remember any distinguishing characters of the missing template? ie contents or wordage perhaps? Submitted by circa (not verified) on Thu, 2007-03-22 00:27. Submitted by nay nay on Thu, 2007-03-22 01:45.
rollabind is a company that sells specialized notebooks where the pages are removable via "discs" instead of rings like in a 3 ring binder. pretty much the same as circa notebooks from Levenger. Submitted by des on Thu, 2007-03-22 04:45.
rollabind is a specific brand of notebook. I believe it's pretty much the same thing as circa but I don't use either so I'm not totally sure. Submitted by supenguin on Fri, 2007-03-23 00:47. Maybe this site needs a glossary section or at least a FAQ? Rollabind is a particular kind of notebook that uses discs instead of binder rings to hold pages in place. Imagine something like a Roladex, but with whole pages, not just address cards. Levenger licensed the technology for Rollabind to make their Circa line of notebooks. Since the pages are punches the same, the two are interchangeable. Rollabind is cheaper but Circa is much nicer. You can search this site for previous discussions about this topic, there have been many! Submitted by mbbevers on Sun, 2007-03-18 14:09. Those landscape ones are mine - you do technically "3-hole punch" them, but using a 6 or 7 hole-punch spacing.